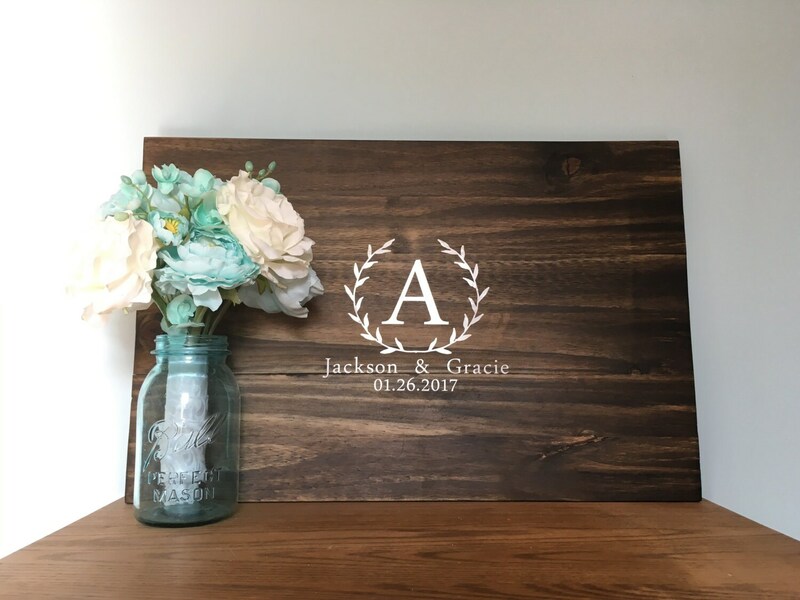 This is unique alternative to the traditional guest book. It allows guest to write personal heartfelt messages to the couple. 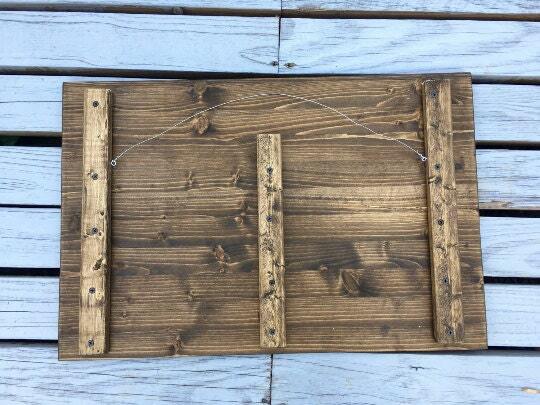 Then after the wedding the couple can display the board in their home as a keepsake item! * WHAT YOU GET * One stained pine board with personalized white outdoor vinyl detail. It also comes ready to hang! * MEASUREMENTS * Approximately 16 tall by 24 wide. *WHAT YOU DO* At check out please put LETTER,NAMES, and DATE in comment box!